Back in June I attended my friend's birthday celebration at a place called ArteVino in Hoboken, New Jersey. The place takes private groups and an art instructor guides the group through creating a painting together. You are even allowed to eat snacks and drink wine! 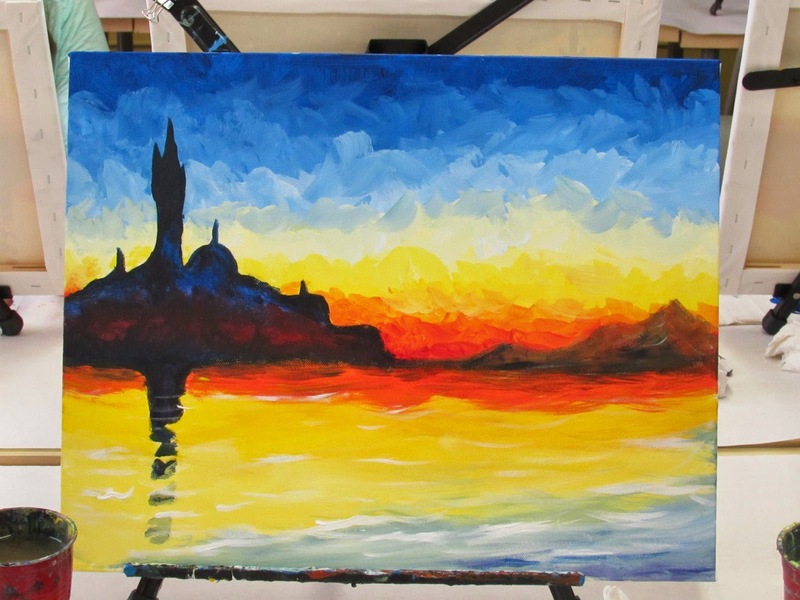 My friend chose for us to make our own versions of Claude Monet's famous "Sunset in Venice" piece with acrylic paints. Below is my initial painting just before we finished. That's better! I'm sure an Olorotitan would enjoy Venice if one ever was alive to see it. That's it for this week, folks! Stay tuned for this weekend for another prehistoric animal of the week!